I've been playing with my GO! Fabric Cutter. Have I told you that I love my Go! First I cut strips, 1 1/2", 2 1/2" with my strip cutters. From a 5" strip I used my 4 1/2" square die to cut squares. I'm planning another Free Four All quilt. It's going so much faster with my Go. 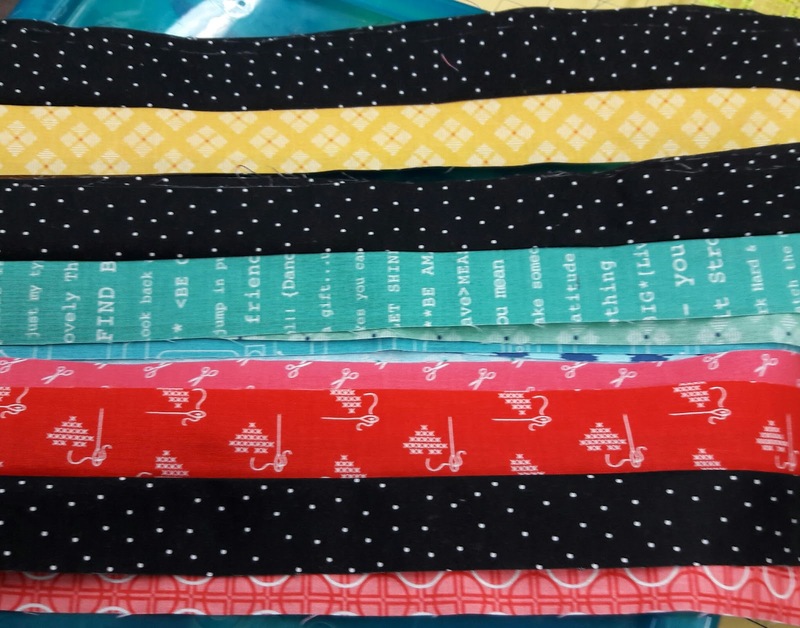 I sewed my 1 1/2" strips together in sets of two. 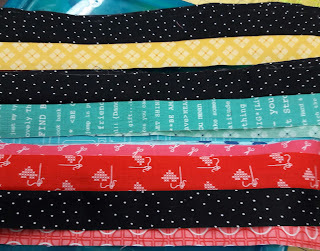 Then turned my strip sets 90* on my Go and made little 2 patches. Hoping today to turn them into four patches. 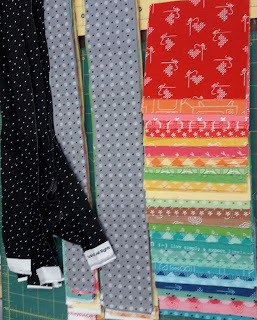 And a little FYI I had a lovely chat with Becky from Patchwork Posse. If you would like to listen you can find it here. I too have been using my go cutter more. 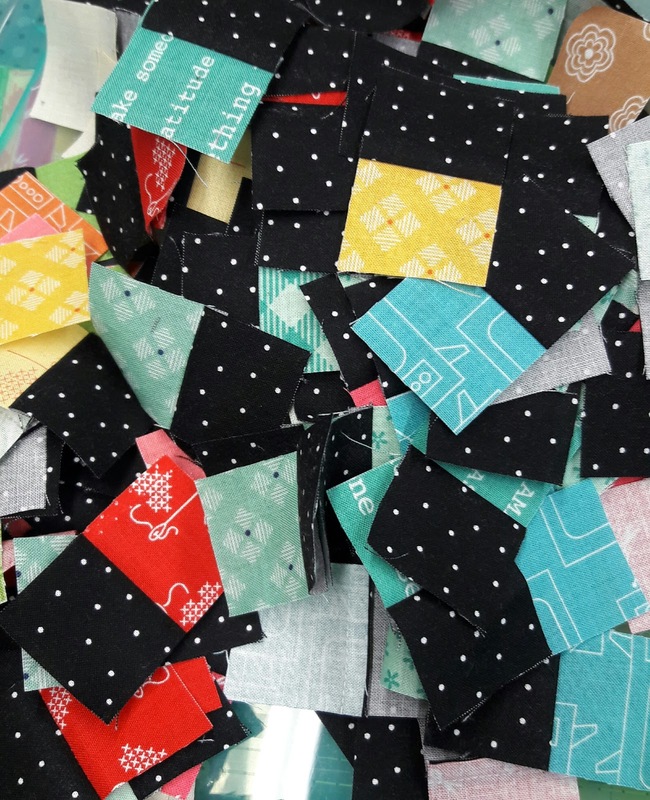 It really knocks out a pile of scraps for you to sew sew sew.